What should universities do about books, phrases, and speakers that some students find upsetting? 1) Place “trigger warnings” on books and articles assigned for classes to warn students about potentially upsetting content (such as racism or sexual violence). 2) Identify and discourage “micro aggressions,” which are words and phrases that can make some students feel excluded or insulted. 3) Rescind invitations to some speakers, if the content of their talk is likely to distress some students. I wrote an article on these trends (with Greg Lukianoff) which was published yesterday in The Atlantic. We argue that these 3 movements are not just infringements on free speech; they are actually bad for the students themselves, for they teach students to think in exactly the kinds of distorted ways that Cognitive Behavioral Therapy tries to correct. Many critics of the article say that we did not take sufficient account of the suffering and exclusion that some students feel. So the question I’d like to raise is: are there ways to promote a culture of inclusion on college campuses that don’t involve moralistic, divisive, and speech-limiting responses like the 3 I mentioned? Are there better ways to accomplish the goals that drive the three movements? I actually posted your article yesterday, didn't mean to steal your thunder! I have no doubt that your article attracted derision from the usual aggrievement machine. The problem with these individuals is that they have such incredible tunnel vision with their agenda that they only believe that it cuts one way. For example, who receives more affirmation on a college campus a pro-choice student or a pro-life activist? These students need to be made to understand that their feelings do not take precedence over the free expression of others. And it is typically unidirectional and from the left. Ta-Nehisi Coates wrote a book and in it he described how he felt no remorse when the terrorists destroyed the World Trade Center on 9/11. Now I think that is a pretty dumb thing to say, perhaps even "triggering" for some students but would should we try to block him from coming to campus? NO! In their mind left wing radicals like Angela Davis (who waltzed around Europe with the worst autocrats during the Cold War while dissidents were being tortured), Mahmoud Ahmadinejad, etc., can speak on campus, but Christine Lagarde creates a hostile environment? Give me a freaking break. One program we had in college that I thought was successful at helping students sort through these complicated issues was called Sustained Dialogue. It was a safe space for people to share their views without rancor. There was disagreement. We would talk about an issue that impacted campus like affirmative action and we would read texts in favor, against and in-between. This is so dependent on the quality of the moderator and individuals who did the program with more ideological moderators had different experiences. Isaac Hasson: "The Coddling of the American Mind"
Isaac, thanks so much for posting the article. This is really my first time using Parlio, so I had not been following closely enough. The "sustained dialogue" program sounds great. I have found that the key is forging personal relationships, BEFORE talking about difficult issues. Just getting together to talk can often backfire. So if students stuck with it, and returned week after week, i'll bet it was really enlightening -- just the sort of thing most of us want college to be. What I find interesting is that this "new PC" wave is growing at a time in which university administrations are becoming increasingly professionalized and "large". The nature of the changes and the way in which they seem to be creeping onwards, without open discussion and almost following a path of least resistance, makes you wonder about the administrators' workplace incentives and management practices. That might be the subject of another article, however ;) Two thumbs up! Yes, the growth of the administration at universities is part of the problem. But they are responding to regulatory pressures from Washington. Title IX in particular -- the Obama administration has greatly expanded the requirements for what universities must to do be in compliance. This may be why the whole new PC thing only burst forth since 2012. Obama's education department changed the rules in 2011, and schools are scrambling to comply, hence all the new programs and training. The purpose of a University and any school is to facilitate learning. I think the best way to help promote a culture of inclusion is to 'include' more students in a wider variety of content exposure. Next increase the amount of discussions that they have about the content, perhaps through mediums like the internet. The more students socialize the more comfortable they will become with possibly uncomfortable and distressing topics, words, and phrases. I don't think it is possible to create a regulatory system that perfectly shields students from things they don't want to be exposed to. It is much better to work towards building their ability to deal with the realities of the world. Nowhere is this more true than at a college. I find it ridiculous that anyone would think it makes sense to rescind invitations to speakers, or require warning on an author's work in order to promote a culture of inclusion. The only thing you are including here is the judgement of some regulatory organization in a student's supposedly organic process of deciding for themselves what is right or wrong. Spot on. The purpose of the education system, has from my view, shifted from being a institution that encourages self-dependent learning to a system where the "correct" answers are served to students in order for them to get the highest grade. This in turn also shields students from developing their own viewpoints and argumentations, which will be very important once school is over and the real world kicks in. To shields students from unsettling facts or topics just seems to defeat the purpose of higher education. As to your question, it reminds me of the adage: "pain is inevitable, suffering is optional". What those 3 movements seem to overlook is that discussion about the emotional reaction of individuals to verbal or written expressions that touch them is also an opportunity to learn and grow (as you correctly stated in your CBT examples), providing of course that the ensuing discussion is respectful of all participants. As someone who has both suffered and recovered from real trauma, I truly cannot say how destructive this meme is to the person who has been harmed. It reinforces, not just their sense of victimization, but their sense of isolation from other human beings. Someone who has experienced severe trauma often spends a lot of time feeling alienated from others, feeling that no one can understand them, that the trauma is so unique to them and so interwoven into their being that they literally can never feel fully human. Accepting oneself and overcoming the sense of shame, horror, terror and rage that often go with trauma are tremendous opportunities for growth that open the potential for the injured person to really connect with others on a deep and genuine level. To join the injured person in their story that they can never heal does them a tremendous disservice. The important balance to navigate here is promoting an environment of inclusion while rejecting actions which diminish student learning opportunities which is the inviolable mission of our universities. I agree w Jon Haidt, but equal commitment to each side of that balance must be demanded. I don't know what the phrase "equal commitment to each side of that balance..." means. What sides/interests are being balanced? I think Dr. Haidt is suggesting that tempering one's speech to avoid offense is bad for the university and bad for the students, whether previously injured or not. I concur with that. I am reminded of an old Firesign Theater joke, where the speaker says: "how can I know what you hear. That is metaphysically absurd." I concur with that too. The speech that others choose to take offense at or feel wounded by are words that would give most people no pause at all. Of course, we can all agree that there are (and virtually always have been) "fighting words" which any reasonable person would intend as offensive and any reasonable person would likely find offensive, but that is not what is at issue here. On that note, I will share my own experience, I think it is the job of anyone who wants to mature to find out why certain words and phrases enrage and hurt us and put us in a muddle. We learn a lot about ourselves by undertaking that work. Personally, the phrase frequently uttered about my mother was "I am sure she did the best she could under the circumstances," which used to just enrage me and drive me to tears and distraction. As I came to understand myself better and have more sympathy for my mother, the phrase lost its power. That work that I did for me for myself seems much more worthwhile than locating my reaction in someone else as their problem to solve. Balance freedom of expression on the one hand with fostering an environment of inclusion on the other. Both are important values in an university setting. Both should be promoted. I'm honored to be a part of your article in the Atlantic, Mr. Haidt. I think that youth comes with an impatience and a rebellious zeal. Combining that natural fervor of adolescence with social media is perhaps what has created the PC movement in the past couple years. To create a more inclusive learning community, all that we might need is to study other cultures. Euro centrism plays an unforgivable bias in our education system, for instance. Another problem is that so much resource is wasted on funding for programs that are supposed to promote diversity. This money and talent could be put into more fruitful avenues. One very blunt reality is that if half the women who waste their energy on women's studies (to learn about how there aren't enough women in STEM fields) would actually major in STEM fields, we might solve the problem. Omar, I'm very troubled by your reductive statement about Women's Studies. If you think that the field of study is concerned primarily with learning "how there aren't enough women in STEM fields" you are mistaken. Gender, race, sexuality and class are all topics dealt with within Women's Studies, and in this day and age are incredibly important to understanding the society we live in. Your point about funding doesn't hold--Women's Studies programs are among the most underfunded programs at most universities. And they also tend to be the one of the smallest majors. The way to encourage more women to join STEM fields is to make STEM fields more female-friendly places to work, to foster young girls' curiosity in math and science, and to ensure equal treatment at the university level of male/female STEM students. Learning about the historical and socio-cultural context of women should not be considered a "waste of energy." Even if it is compared with going into the STEM fields. Omar, I was horrified by what had happened to you, and I'm so pleased to learn that you are here on Parlio. Odds are that I see the situation on campus more like you than I do like Hanna. But I must agree with Hanna that it was a mistake to speak about women's studies as you did. It always pays to be civil, and to acknowledge that there are valid concerns on the other side. In fact, my main regret about my Atlantic article is that I put in only a few mild acknowledgments; i should have gone further. The students talking about microaggressions have valid concerns; i just disagree that a moralistic and critical approach is the best way to change norms within a campus community. Hanna and Professor Haidt - I could learn from both your responses, and I confess I should have put more effort into constructing a more measured reply. You'll find that I agree with the social justice movement more than even some of the most radical might agree with themselves. There are serious institutionalized social biases that need to be addressed academically, and women's studies can teach students to do so. However, the culture of women's studies classes and other such majors on college campuses can be intolerable. These classes appeal to a minority of students who already feel passionately about the issues in question, while repelling those who might need them most. Some of these issues are dearer to me: I do take issue with Euro-centrism in the way we tell our history, for instance. In a cryptology class my first semester in college, we had to prove Wilson's Theorem, named after John Wilson, an 18th-century English mathematician. However, the same theorem was proved centuries earlier by the Arab optometrist Al-Haitham. Moreover, it was proposed much before Christ by the Indian astronomer Bhaskara, from Bihar (where all my grandparents were born)! There is nuance to all these arguments, but I was blunt in my first response. However, in the interest of objectivity, we must acknowledge that women majoring in theoretical and social majors do not solve the problem of there being fewer women in STEM fields. There are so many incentives and programs devoted to making women feel more welcome and invited in these majors. Things are looking up, but social problems cannot be solved by quotas, and most of all they take time to be resolved. This leaves me with a couple questions for the esteemed Professor Haidt- I'm honored that you wrote about me, even if a paragraph. I hadn't registered it was you until now. I read and wrote about The Happiness Hypothesis for a philosophy class of mine at Michigan called "Human Nature", taught by Professor David Manley. I also have a long and difficult history with depression - was just talking to Greg Lukianoff about his story with CBT. So I wonder, Professor Haidt, as unappealing an admission as it be, might we have to admit that women are naturally inclined to major in non-STEM fields? I ask this in all sincerity, and mean nothing by it except curiosity, nor do I have any clue myself. I think Mahmood's commentary is interesting but misses a few things. I guess it is hypothetically possible that even if you could control for everything, men and women might think in different ways and tend to excel in different areas as a matter of nature not nurture. But this doesn't really have real world implications because the distribution overlaps so much. I agree with Hanna's point that we should make tech a better work environment for women. I also think we should make an extra effort to get young women, particularly children interested in STEM fields so that we can get a critical mass of women doing STEM that can balance social biases and encourage more women to join. I think that the problem with majors like Women's Studies, Ethnic Studies, etc. (and full disclosure I am only a few credits away from a degree in African Studies myself), is that many of these majors do not prepare students well for the job market and unlike the traditional disciplines, have an ingrained activist agenda. The purpose of the Economics is not to prove that Keynesianism works or does not work, but to provide a forum for inquiry. Disciplines that promote ideological homogeneity and have a decidedly activist bent in one particular direction (and this might also apply for instance to a Religion major at a small religious college) serve students extremely poorly. I read your article with great pleasure but was also, of course, saddened by the way the students react and how it must be affecting academia. There is a word missing in the English language, but the Germans have it: Bildung - or as they called it in ancient Greece: Paideia. The cultivation of the self that comes from engaging with the arts, history, philosophy, science, and (not least) people of different persuasions; it is the maturing of the mind that allows you to develop your own point of view while appreciating the different views of others. Bildung is the backbone of Western education but we seem to have forgotten it over the past couple of decades and I think three things are to blame: the invention of the spreadsheet, which allows bureaucrats to compare test results, the inability of tests and spreadsheets to handle complex information such as personal development and bildung, and the OECD PISA tests. Apart from being the first generation growing up having to navigate political correctness since birth, and being the first generation faced with cultural sensitivities at a global scale through the internet, your current students are also the first generation of students who were formed by a school system that adjusts itself to PISA testing and where we have lost the bildung perspective. Thanks for this very thoughtful response. I never heard of the word Bildung before. Thank you Lene, i had not heard this word before either. I agree that PISA tests and bureaucratization lead people and countries to focus on some things and ignore others, and this distorts the mission.... more of K-12 schools than of universities. I especially saw this in Korea: high scores, wasted childhoods, little love of learning. But i don't this this is a major contributor to the idea that the most important thing of all is to identify vulnerable groups and then to say "we must all work together to protect them, no matter the cost." I think this is driven by general trends in the changing morality of the left since the 1960s, when it stopped being about labor and the working class, and started being about fighting for the rights of various groups. admirable motives, but with some unintended side effects that are now damaging discourse, and Bildung, on campus. In my experience avoiding "Bildung" is also related with attempts to keep schools value-neutral. To teach "objective" science, to "transfer knowledge" and not much else. Some of the former Eastern Europe has this response to schools that peddled ideology in the past. It is not an optimal response. 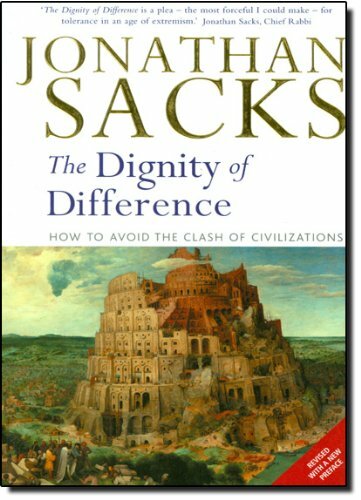 Did you ever read Jonathan Sacks' The Dignity of Difference? The Home We Build Together: Recreating Society? Here he writes about the difference between legislation and a moral conversation, or as he calls it: contract and covenant "Social covenant creates a society. Social contract creates a state." I haven't had time to read the full Atlantic piece yet, but I know that the issues you raise are a big concern at Oberlin, where I sit on the alumni council. One of my mentees is trying to walk the fine line that both respects the real concerns raised in your three points but also fosters the sense that everything is open for discussion. Lots of students and faculty do not think that what you or I might think of as micro aggressions are micro at all and that folks have to be protected. At the same time, most would acknowledge that we close off discussion at our peril. In the late 1960s, I was part of the student left that protested to keep military recruiters off campus. But, there was a difference. We actively promoted dialogue across ideological boundaries to the point that many of my adversaries then are my closest friends today. That said, I have no clue how you make that happen in these even more polarized times. Jon, Ironically, my wife head you on Diane Rehm this AM while driving home from our office (she helps out on work we do in US domestic peacebuilding) and was grabbed both by your argument and some difficulty you seemed to have you a bit flummoxed (and it would have flummoxed us as well). I agree with you completely on viewpoint and ideological diversity which I saw as an important theme between the lines of The Righteous Mind. That is what our work at AfP is all about and also why you've been on my get-to-know to-do list for some time, especially since another strand of our work includes bringing insights from neuroscience into our work and, most importantly, that of our member organizations. But, that's a longer and one on one conversation. I'll probably spend tonight and tomorrow morning putting my own ideas together into a post for Parlio, since we've been looking for exactly this kind of venue.